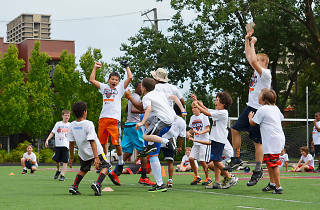 Photograph: Rob@Warnerfoto.com Kids sharpen their football skills at the Chicago Bears summer camp. 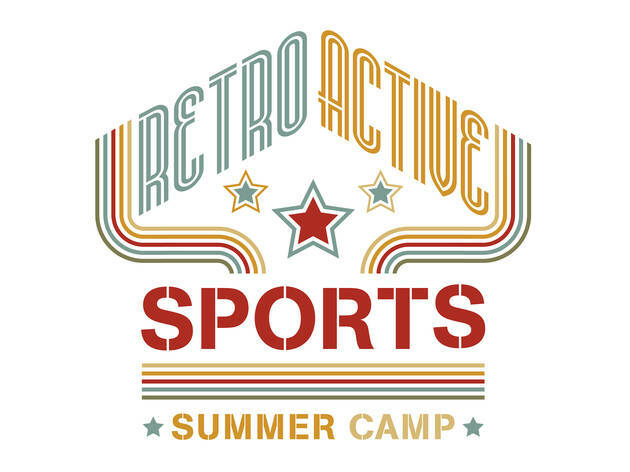 Summer sports camps are the perfect way to keep active kids from going stir-crazy when they're not busy with school or away on a family day trip. 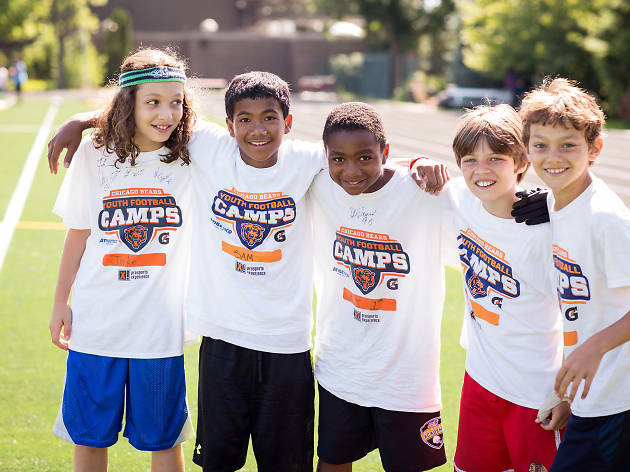 Chicago has no shortage of great athletic camps, from some sponsored by the Chicago Cubs, Chicago Bears and Chicago Bulls to camps featuring schoolyard sports like kickball and capture the flag. 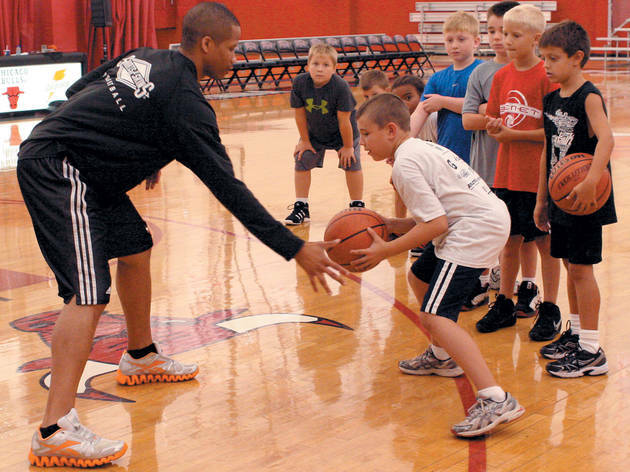 You should have no problem getting the little ones off the couch this season. Your little Bears fan can train with the pros at this great camp with instructors from professional, college and high school football. Don’t worry, parents, this is non-contact football, and players will learn skills like running, punting, blocking and tackling. June 11–August 10, $174–$364. Ages 6–14. 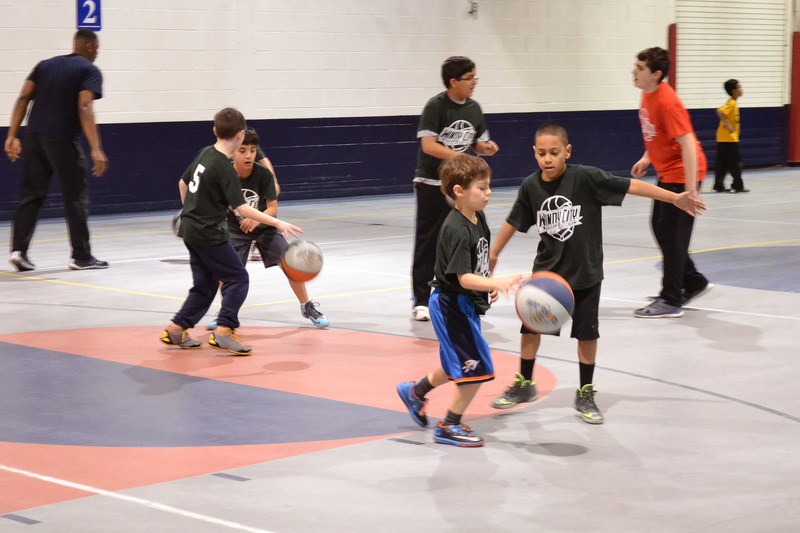 Michael Jordan wannabes will love shooting hoops and learning the fundamentals of the game through drills and game play. 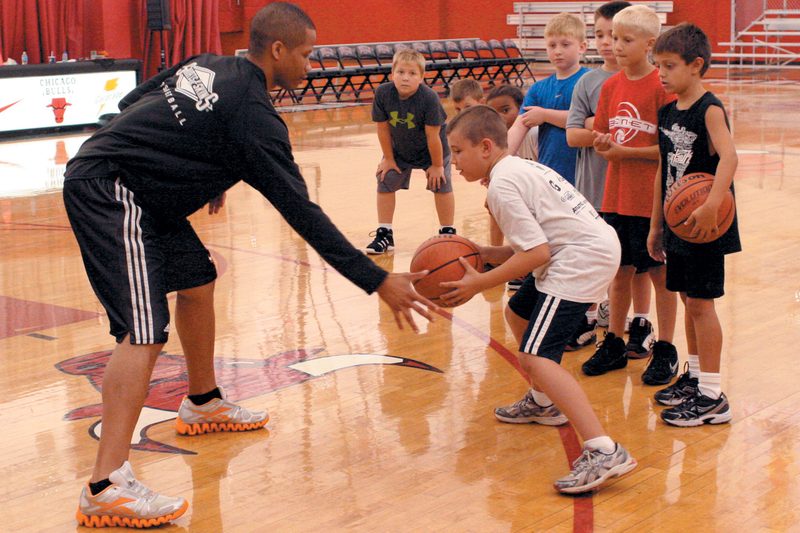 Returning campers get more serious with their skills and work on performance improvement in skills like handling, shooting and footwork. Dates, times and locations vary; check website for details. $215–$385. Ages 5–12. 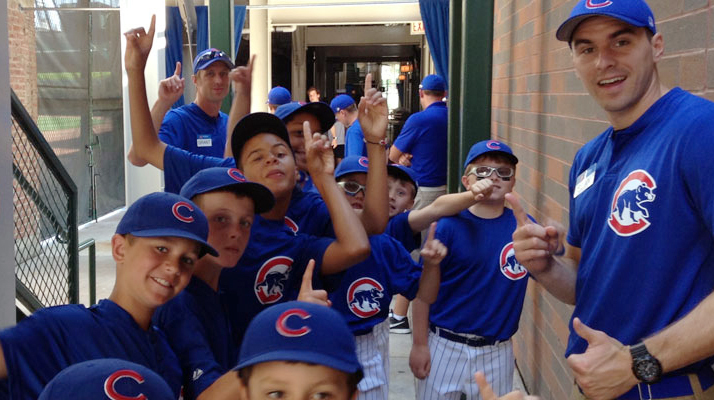 Your kid could be a future World Series Champ. 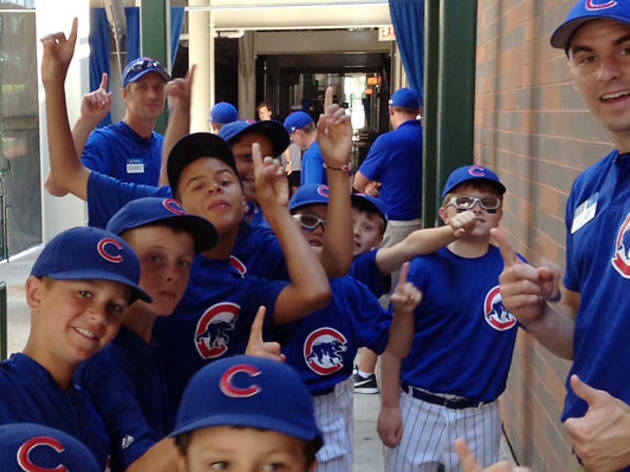 This summer camp invites young players to meet a current Cubs player and learn skills and lessons they can use on and off the field. July 18–August 12, one-week session $395-$495. Ages 5–13. 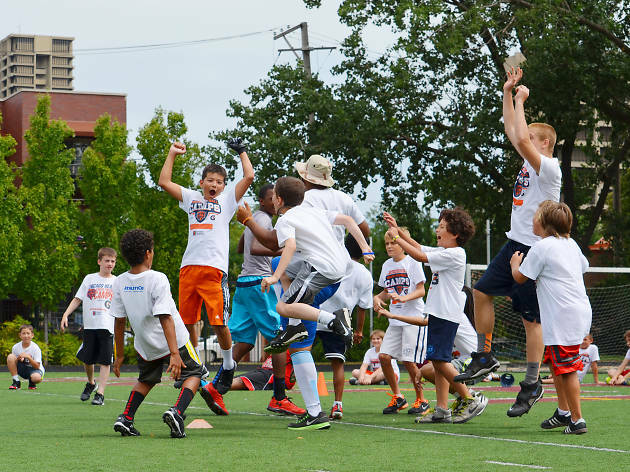 Sign up for a week of fun games for kids, and we don't mean video games. 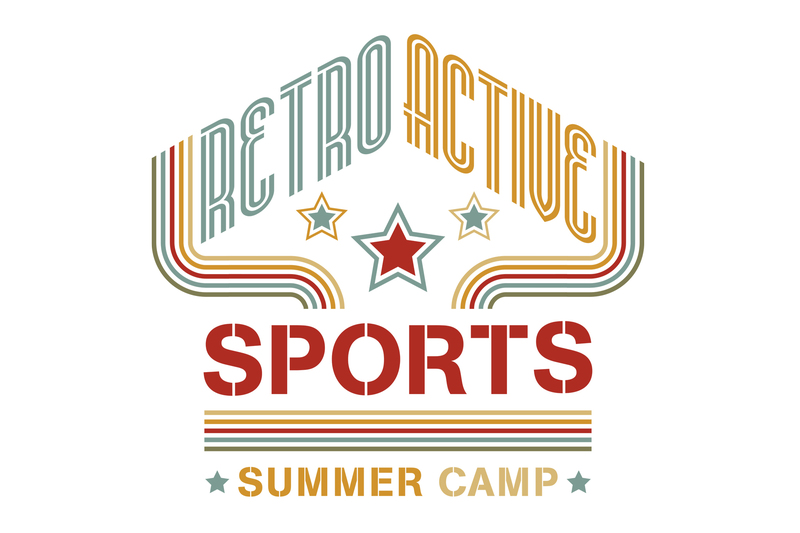 Instead, kick it old school with dodgeball, kickball, capture the flag and more. June 4–August 31, $370. Ages 7–12. 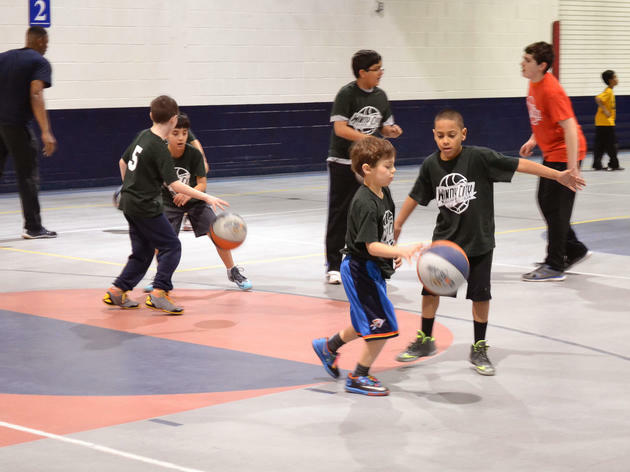 Sports-crazed kids can get their fill at the Windy City Fieldhouse this summer. 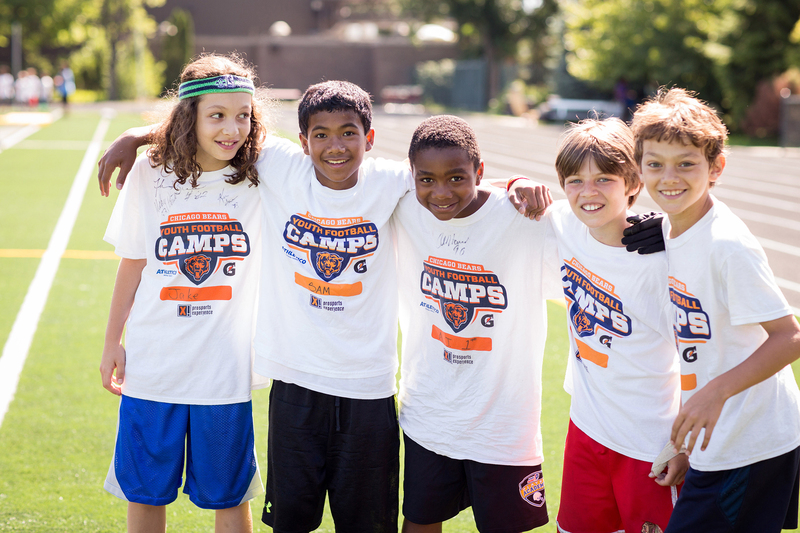 Choose from a wide selection of camps that focus on a specific sport (football, golf, floor hockey and many more) or a general sports camp where they’ll dabble across activities. June 4–August 31. $120–$200. Ages 3–13.